The reason why I’m telling the following story in detail, is I’m seeing more and more collaborations between disparate industries. It’s exciting, and it’s memorable. Read on for what I mean. The Troll A platform is an offshore gas platform off the West Coast of Norway. Construction on the platform started on July 1991, and started a long list of impressive engineering firsts. 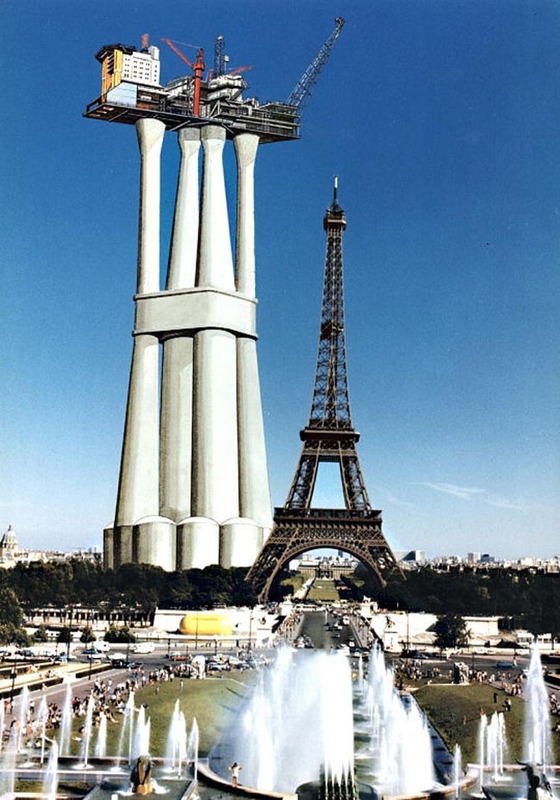 It has an overall height of 472 metres. It weighs 683,600 tonnes. And still to this day it is the tallest structure in the world that has been moved by mankind. Over 7 days it was moved 200 kilometres from the town Vats to where it now stands on a sea floor 303 metres below the surface of the sea. In 1996 the platform set the Guinness World Record for ‘largest offshore gas platform’. At the time, I doubt that the Norwegian Contractors who built this behemoth could have foresaw that one day this offshore oil rig would have another life…that of a creative collaborator with a musician. Over the course of one weekend in 2006, a new Guinness Record was created, and the Troll A platform showed what more artists and marketing companies are starting to adopt these days… a creative collaboration between two seemingly opposite things. 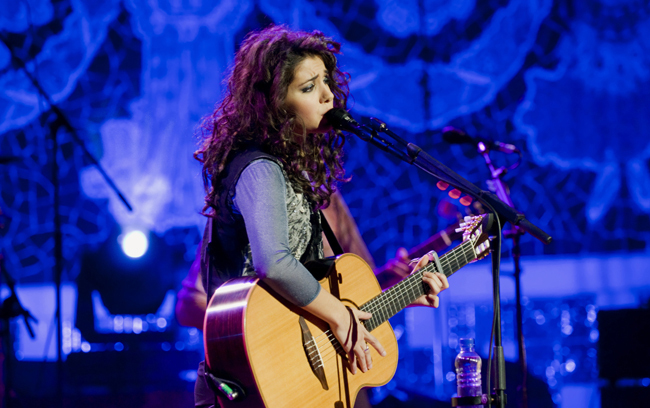 Katie Melua was born in Georgia and found fame in the UK as a singer, songwriter and musician. Picture a Norah Jones-esque figure with Gibson Blueshawk rather than a Steinway & Sons as her instrument of choice. At age 19 her first album sold 1.8 million copies in the first 5 months of release. Her second album went platinum four times. It wasn’t like Katie was born with a silver spoon in her mouth. She struggled to achieve airplay for her first single ahead of releasing it, and completed her music degree in Croydon, South London. The qualities she possessed of determination plus the fact that she was a self declared adrenaline junkie would set her up perfectly for what she was about to undertake in 2006. So, here you have a music starlet on one side of the equation, and an industrial wonder on the other side. The wheels were in motion for one of the most interesting mash ups between arts and industry I’ve read about. To celebrate the 10th anniversary of the rig, Norweigan Statoil (the company who owned the rig) spoke to Katie. They asked her if she’d be interested in performing. Under the sea. After researching the company to see that she agreed with its principles, Katie and her band said yes they would. The world’s deepest underground concert was to be performed on the October 2, 2006. Under the Troll A platform. Underneath the sea. Behind every great idea is a myriad of logistical problems to solve. In this case the band had to undergo medical tests and survival training ahead of the performance before they were helicopted to the rig. And as they touched down on the oil rig platform helipad and took a lift shaft down to the concert venue, the oil rig workers were waiting for them to perform. 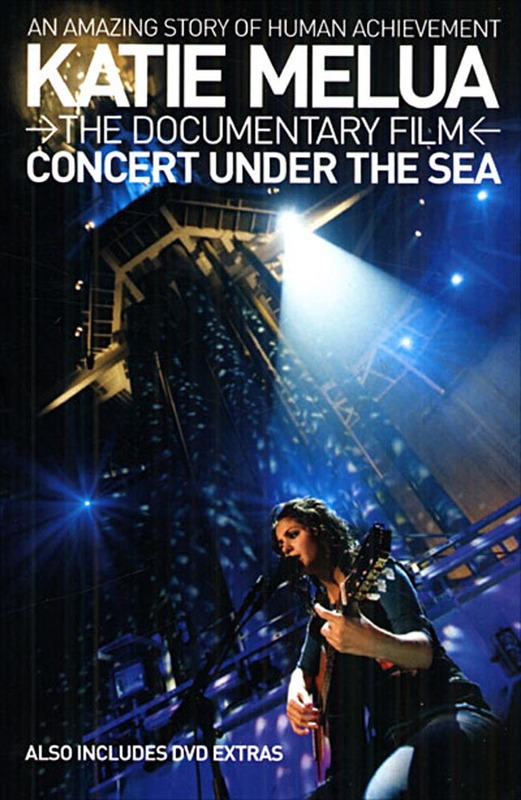 To this day, Katie Melua is in the Guinness Book of Records for playing the deepest underwater concert at 303 metres below sea level.